Since January 2016, FiveShards hosts two weekly tournament series that each culminates in a final monthly tournament! We have designed one tournament schedule to be more attractive for North American players while we have aimed the other towards European players, but a player may play in either or both series. Each weekly tournament in the client is open to any player while the final monthly tournament will allow those that earn enough tickets to compete for a better prize pool. There is one final tournament for time zones. Each of the weekly open tournaments will appear in client, under the tournament screen, with the name “FiveShards Weekly Series.” Each tournament is variable-length single elimination tournament. The finale happens within client and requires 5 FiveShards Tickets to enter. There are three to four open tournaments during the month and one invitational on Saturday. Thanks to Hex Entertainment for making the tournament series happen in the client. You can find the listing of each series on the Hex forums calendar. Of note, the first three or four Saturdays of each month hosts series 1 and 2. The final full weekend of each month hosts the finale. Series one starts at 1am PDT. Series two starts at 8pm PDT. The Finale starts at 12:00pm PDT. Can I play in both series? 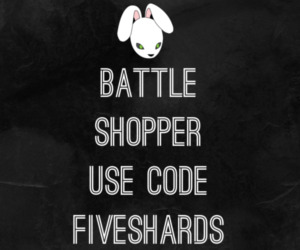 Fiveshards will send out all prizes as soon as feasible after the tournament concludes. This should be no later than 24 hours.